Please note that reducing your healthcare expenses is not about avoiding recommended checkups and treatments. Rather, it is about investing in preventing disease rather than waiting until you have disease to act. Having regular dental, chiropractic, medical, and other examinations done will actually save you a significant amount of money and illness in the long run. One of the most important and significant way to invest in your wellness is through proper nutrition. Everyone has heard the saying, “you are what you eat.” More properly, your body is what you eat. This is just a simple scientific fact that the molecules of your body come from the food you eat, the water you drink, and the air you breath. So let me ask you a question. If you built the Eiffel Tower out of Silly Putty, how would that go? Of course, the building would tumble down because they putty is not strong enough to hold it together. Likewise, if you feed your body the wrong kind of food, your body will begin to break down and you will age faster, get sicker, and die younger. What are the proper building blocks for a healthy body? 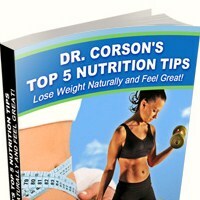 Fruits, vegetables, whole grains, nuts, seeds, and legumes. The pure, raw, unprocessed plant foods are what you need for vitality and health. They come packed with antioxidants, vitamins, minerals, fiber, and all the other nutrients our bodies need for peak health. People often ask, “Should I invest in supplements or can I get what I need from my diet alone?” In America today, most doctors, researchers, and scientists agree that you need to eat more fruits and vegetables. Less than 20% of Americans eat 5 servings of fruits and vegetables a day. And the USDA recommends you eat 9 to 13 servings of fruits and vegetables every single day. Thus, we have a huge gap between what we should eat and what we must eat for ideal health. To bridge this gap, my family has been eating Juice Plus+ every day for over 8 years. Juice Plus+ is the concentrated fruit and vegetable juice powders from 26 fruits, vegetables, whole grains, and berries. Juice Plus+ is the most researched brand name nutritional supplement in the world, and the research shows that it helps balance your immune system, improve circulation, reduce risk factors for heart disease, lower homocysteine, reduce oxidative stress, and much more. The Juice Plus+ Children’s Health Study has shown that children and adults who take Juice Plus+ for 1 year are taking less prescription and OTC medication (55% of children and 42% of adults), need fewer doctor’s visits (63% and 49% respectively), and miss less school or work (55% and 51%). So let’s say you do reduce your healthcare expenses by 50%. You could invest that extra $4,000 a year and if you only made an 8% return on your investments, over 40 years you would have over $1.1 million! If you started when you graduated from college, you could become a millionaire around the age of 60 without doing anything except investing in your health and investing the savings. Your body, if taken care of properly, is truly a millionaire.